US singer Joy Villa with her 'Make America great again' bag. The singer, who has previously courted controversy for her political sartorial choices, wore a silver top and skirt with faux barbed wire on the shoulders and fake iron nails sticking out of her hair, along with a red bag reading: "Make America Great Again". On the back of her outfit read the words "build the wall" scrawled across a depiction of bricks. 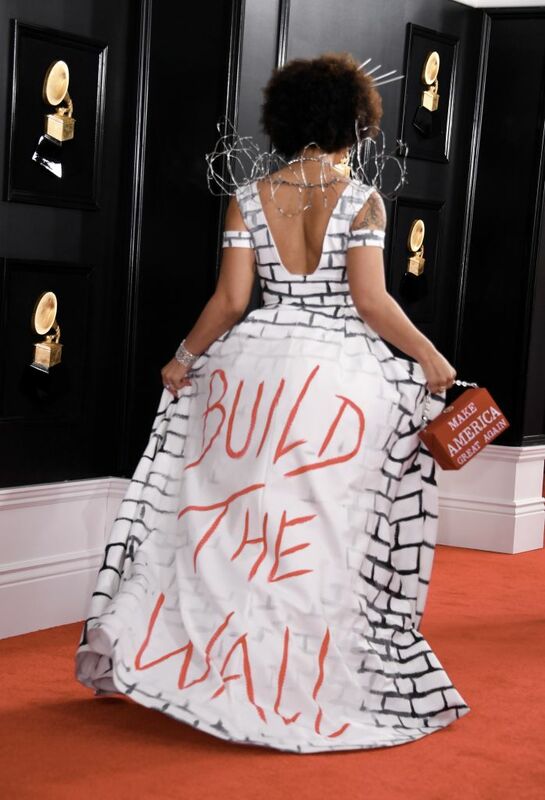 US singer Joy Villa at the Grammys wearing a dress in support of US President Donald Trump building a wall on the Mexican border. In 2018, Villa wore an outfit featuring an image of an embryo in the womb along with a purse reading "Choose life", while in 2017 she wore a dress modelled on Donald Trump's campaign banner, with "Make America Great Again" emblazoned upon it. While many on social media were critical of her choice at this year's ceremony, a number of conservatives in the US supported her. 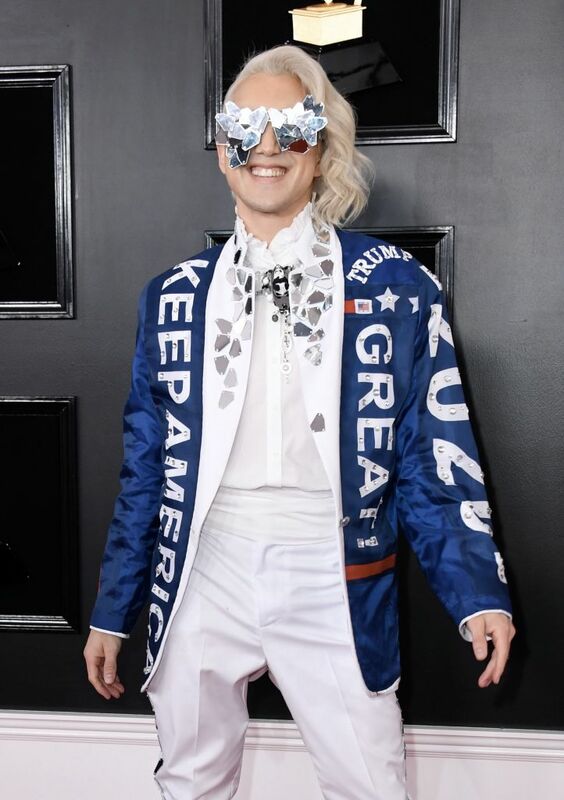 US performer Ricky Rebel at the Grammys wearing a jacket with 'Keep America great' on it. Posting on Twitter, Rebel said: "I'm Billboard Top 40 recording artist Ricky Rebel live at the #grammys and I'm a reflection of the 60 million+ Americans that voted for @realdonaldtrump. Be #TheNewAlpha Don't let anyone keep you in the closet."